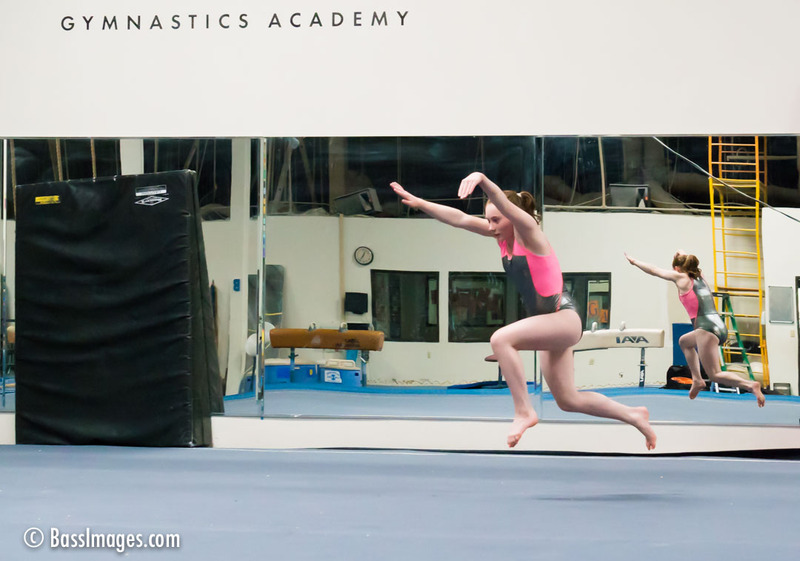 My assignment was simple: shoot an image to promote an event by the Victory Gymnastics Academy in Newbury Park, CA. 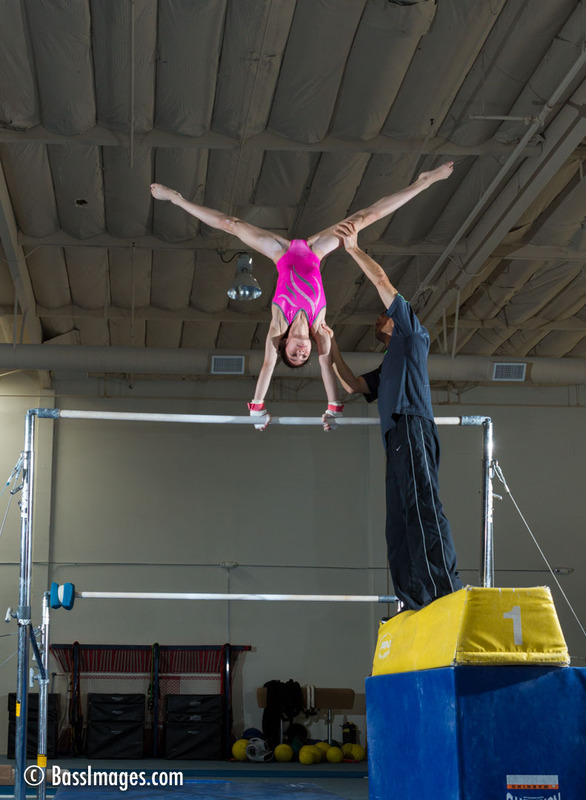 The academy offers instruction to kids who come for fun and exercise, and to those serious about competing in the sport. The photo would show a talented student and an expert coach interacting. I had three gymnastics to work with. I began with each of them on the high bar, asking for positions that kept their faces toward camera. Using flash to freeze the action, I kept shooting and looking for a dynamic composition. When I exhausted that option, I looked around for another location. By removing some clutter behind the balance beam I found a clean background. 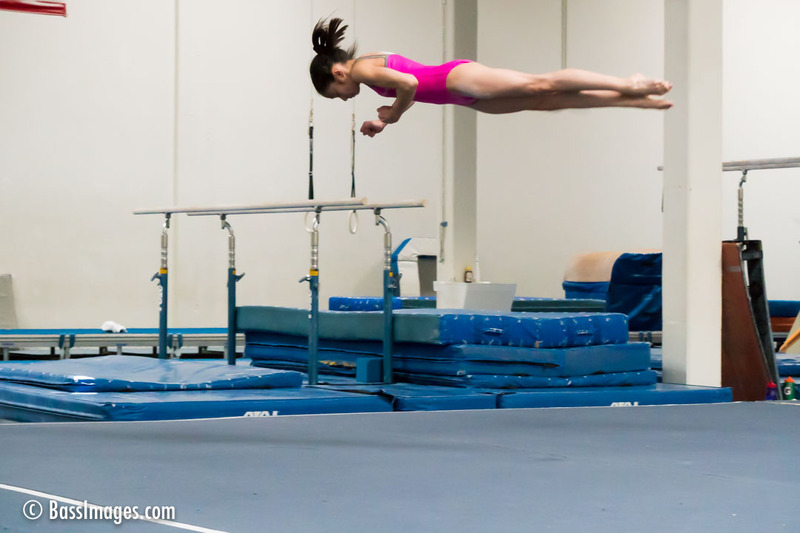 Once the young lady got on the beam and assumed her position, I knew we had something. Her lines were amazing. Then coach Ray Jiang raised his arms in praise, adding emotion. Plus, his arms and the line of the beam itself completed a lovely composition. Some work in Photoshop cleaned up distracting elements from the wall. 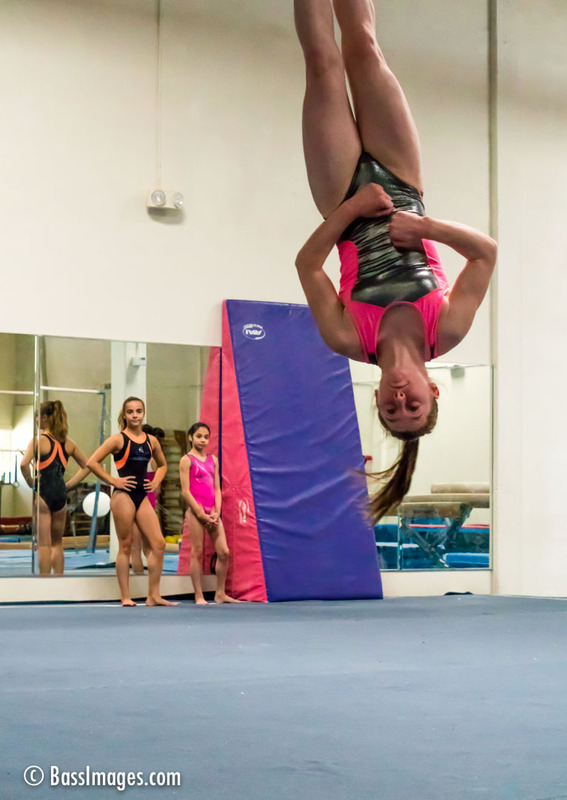 Lastly I thought it would be fun to shoot the girls doing their floor exercise. I always marvel when I see these competitions. To capture them in action, I used my new Sony a6300 camera. It can shoot 11 frames per second while maintaining focus. In a matter of five minutes, I’ve taken 196 images. I’ve included two shots of that–they’re flying!